Here at Corpus Christi Carpet Cleaning Pros, we get asked this question all the time. Customers assume that if we’re bringing in the big guns, there probably isn’t a need for them to vacuum. Surprisingly, they’re wrong. Corpus Christi Carpet Cleaning Pros recommends that you DO vacuum before we come out to do carpet cleaning in your home or business. For your own personal satisfaction, you might also want to dust or wipe down walls and baseboards around the carpet that is to be cleaned and dusting notoriously dirty areas like ceiling fans and behind the television. What’s the point in having the carpets cleaned if they’re going to get dirty again from dust floating around the room? Have you ever noticed, especially in high-traffic areas, that your carpet is noticeably dirtier than less-frequented areas? 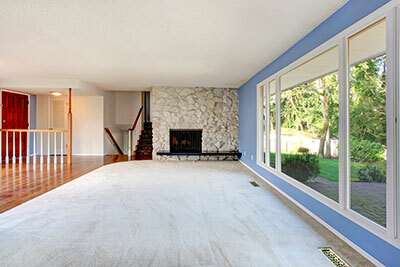 Have you also noticed that carpet that was once plush becomes matted and flat over time? Regular wear and tear on your carpet causes these things, and there’s really nothing you can do to prevent them, short of forbidding anyone to walk on it. Vacuuming frequently (once or twice a week) will help to keep these problems at bay, but it won’t reach the really tough stuff that sinks way down into the carpet. A deep carpet cleaning, which we recommend doing once or twice a year, is the only way to access this bottom layer of dirt and debris because it is somewhat protected by the layer of carpet above. Our powerful water extraction (steam cleaning) process and industrial-grade cleaners, mixed with water that is 120° Fahrenheit, will remove all of that. It makes our job a lot easier if you have already removed anything that may get between us and that dirt before we arrive. Otherwise, it may end up taking us longer to do the job because of the loose items that have to be removed first. Although you may not be aware of it, many things – things you’d probably rather not think about –collect on the surface of your carpet. Carpet is like Velcro, grabbing and holding on to all kinds of tiny, unpleasant things. The good news is, if you have had Corpus Christi Carpet Cleaning Pros perform our carpet protection service recently, you have a nice coat of Scotchgard helping defend your carpet from dust, pet hair, dirt, human hair, pollen and food particles. All of these things are lying just on top of your carpet, most of them invisible to the naked eye. Commercial vacuum cleaners are typically powerful enough to remove the bulk of this surface stuff. 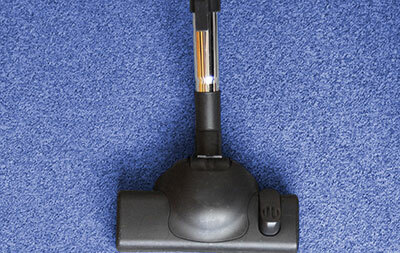 ​Vacuuming your carpet before we come out benefits you because it increases the effectiveness of our process. When you run your vacuum over the carpet, it helps to loosen dirt that may be matted into the carpet fibers, giving Corpus Christi Carpet Cleaning Pros an even better chance to get every last speck.